The Colwood waterfront features miles of breathtaking ocean beachfront perfect for walks, beachcombing, sand castles and water play, Across the road from the beach is the lagoon. A national migratory bird sanctuary where ducks and swans swim and herons and eagles are often spotted along with many other shorebirds. The calm water of the lagoon is perfect for a peaceful ride in the canoe or kayak. Learn more about Esquimalt Lagoon. 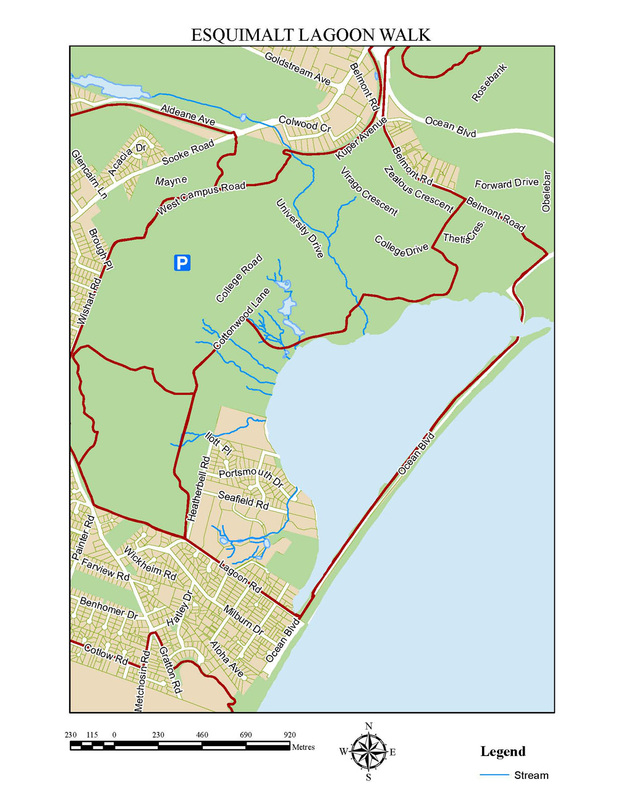 View a map of on-leash and off-leash areas at Esquimalt Lagoon. There are accessible areas, including the walk along Ocean Boulevard, an accessible art space and accessible washroom. The sandy beachfront and trail along the lagoon are lovely walks. Esquimalt Lagoon is one of seven National Migratory Bird Sanctuaries in BC. Please keep dogs on-leash within the santuary to protect the sensitive habitat and nesting areas.